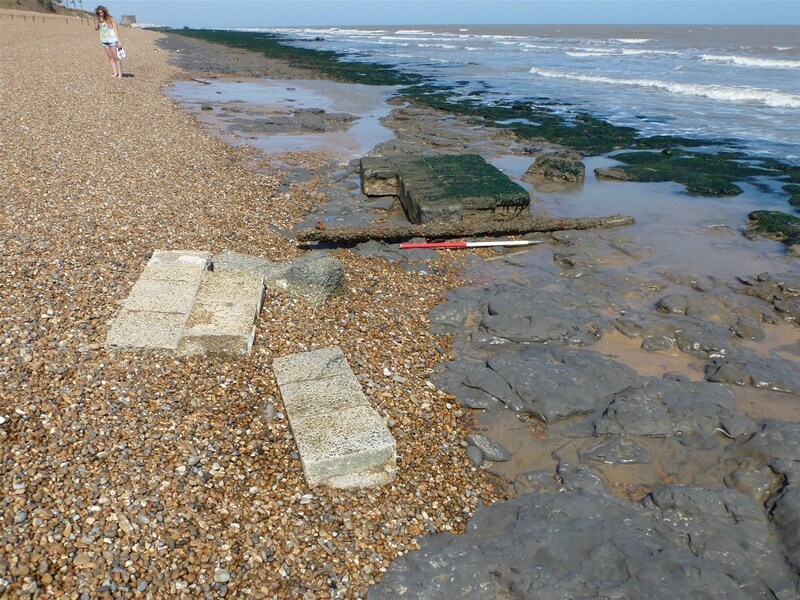 Coastal erosion is active in the county of Suffolk and sites and objects of WWII interest are regularly being exposed. 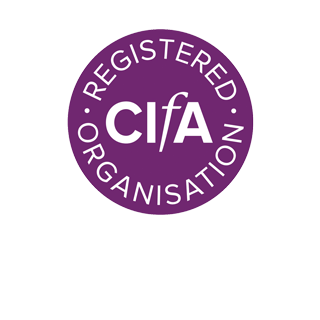 Many are already known and even recorded, but others are previously unknown assets which, following exposure, are at risk of loss or damage without adequate record. In an attempt to quantify the number of potential sites currently being exposed three sample areas of the coast were rapidly surveyed. 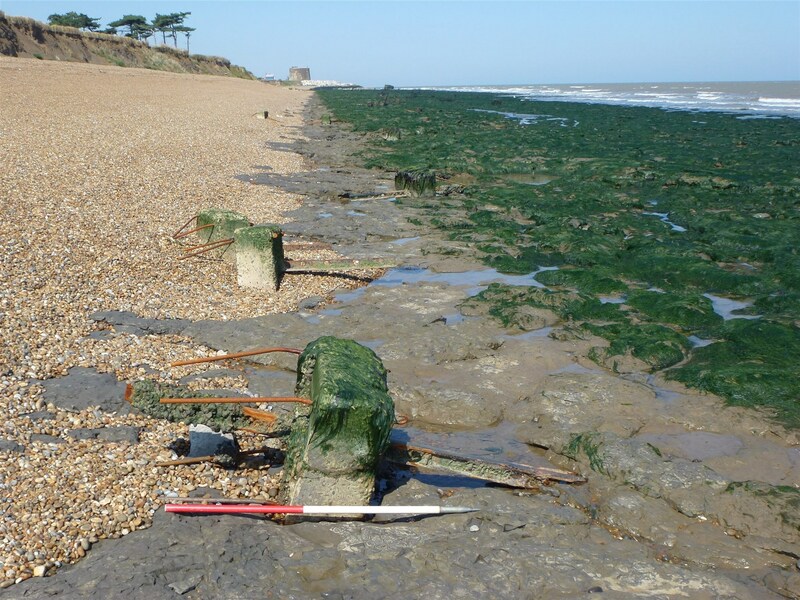 The results of the survey and the accrued base-line data was used to identify sites/assets liable to be under threat from coastal erosion over the coming decades and to test the accuracy of existing records. A number of well-known and previously recorded sites and findspots were identified.These comprised pillboxes and lines of anti-tank cubes, some of which had clearly suffered from the effects of coastal erosion since their initial recording. Another common coastal defence, parts of which were noted in all three survey areas, was the remains of beach scaffolding. It originally consisted of great banks of upright and horizontal scaffold tubes that were anchored in place along the beaches to prevent access to landing craft and tanks and can be seen in 1940s aerial photographs along a large proportion of the Suffolk coast. Comparison of the survey results and the base-line data revealed that the existing records are accurate and comprehensive with regards to WWII coastal defensive sites. Many of the more substantial defences are in-situ and some evidence for others can usually still be found. However given the likely coastal erosion over the next 100 years, it can be seen that the WWII sites and assets identified during the surveys within the Bawdsey and Walberswick areas will be lost whilst very few, if any, within the Sizewell survey area will be affected.